Big Bear Accommodations, fishing, boat marina close-by, cabin rentals, just a short walk to the lake, AAA approved, family and pet friendly, and much more! See brochure/ Big Bear Lake vacation cabin rentals www.BigBearLodging.net ... Big Bear Lodging Big Bear Lake, Golden Bear Cottages AAA approved mountain resort... Big Bear will continue to offer great lodging at an affordable price... fast printable brochure has been updated for your convenience..."AAA approved cabins"
Big Bear valley is a four season resort as well as a beautiful place to live all year round. There are three major highways to enter the valley as well as an airport. But for this journey we will begin on highway 18 which begins in the City of San Bernardino, California. The 45 minute drive up the mountain is in itself a scenic wonder however when you cross over the dam on our new bridge you will enter an area we call Boulder Bay. 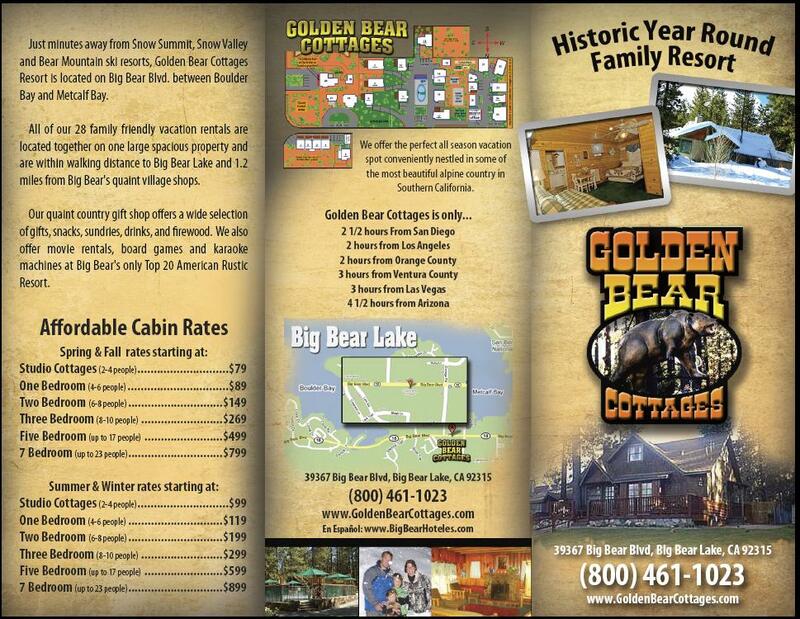 Just past the bay you will find historic 5 acre Golden Bear Gottages resort filled with 28 restored cabins of all sizes fron little Jacuzzi studios to large group cabins as large as 5 or 7 bedrooms. Just a block before Golden Bear Cottages you'll find a brand new park on the lake, on your left, because it also provides ample parking a dock that is often occupied by fishermen and ladies with a great lake view! Another quarter mile on your left and you will see a sign for Pleasure Point Marina which has as much to do about boat rentals, guided fishing tours and wakeboarding as well as full and part time What To Do In Big Bear fishing and boating! 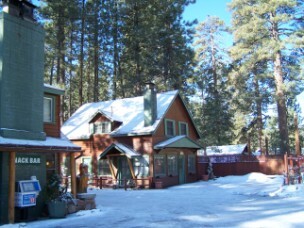 Big Bear valley is a beautiful four season resort as well as a beautiful place to live all year round. Another quarter mile on your right up highway 18 and you will find a locals favorite called Azteca Grill with authentic Mexican dishes to die for at very reasonable prices including beer and wine. Say hello to your hosts Arturo and Rosa for us! And would believe just another quarter mile up the road on your right you will find a long time outdoor fun park called Alpine Slide. With Go carts, Miniature Golf and Bob Sled it operates 12 months of the year and provides fun for Kids of all ages. Another quarter mile and you have to make a decision. Do you wish to go straight ahead and enter the village with dozens and dozens of shops and visit one of Big Bears most famous photo artist, Tim Wolcott at his world famous Gallery Of The American Landscapes. Or turn left, follow the curve and just on your right you will discover the Bowing Barn with tons of things to do including a bar with a dance floor. And believe it or not just a few feet more and the next barn red building is Big Bears newest entertainment center, the Big Bear Fun Plex with its own lazer-tag court, alpine roller coaster and bumper cars, pool tables, arcade games and did we mention the pizza restaurant inside? By the way just few blocks more on your right and you will the office for Action Zipline which is a 3 hour excursion high up in the forest with nine zip lines that are sure to open your eyes and give your heart a thrill. Don't miss this "once in a lifetime opportunity"
Now just for a minute let me introduce you to our beautiful forest with over 450 miles of off road vehicle paths as well as an untold number of miles of mountain bike paths and while we're on the subject of bike paths just a quarter of a mile on your right you will find Summit Blvd. entrance to that well known premier ski slope and right on the corner with a huge parking lot is another premier business called Chains Required that not only rents bikes in the summer but skis in the winter. What an ideal location. 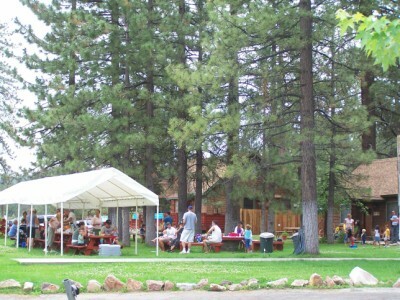 By now you know that Big Bear is all about fresh air and recreation with super relaxation! When you are well rested from the recreating and shopping, let us introduce you to just two more places you will want to know about. Go back down Moonridge road and turn right and drive past the Stater Brothers and Von's shopping centers and about a mile down the road you will find a fun place on your right called Big Bear Snow Play and of course it's only open in the winter but on a very gentle hill that's just right for small children as well as the adults you might have with you. old-world hospitality the Big Bear Lake convention center is worth a look-see. Transportation from your accomodations the valley is available. The Big Bear Valley Historical Societies building and exhibit is just a couple more miles out to the east of here housing a museum of gold rush and more mining information and such including the original settlers, the Serrano Indians. The Big Bear Lake Marketing Association (BBLMA) through it's local and regional partnerships is responsible for the development and daily management of 12 websites consisting of Big Bear Lake lodging, accommodations, resort cabins, vacations, news and reviews. We daily update over 30 news stories about Big Bear events and weather. We manage over 750 landing pages of discount coupons and vacation planning. 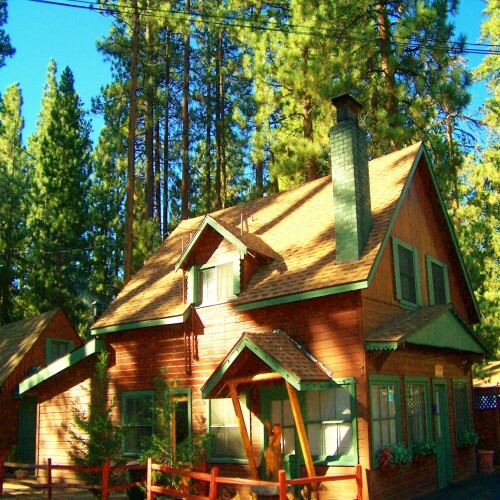 The websites have over 1300 current photos of the drive to the mountains, the four seasons, resort cabin interiors and exteriors, and events of local interest for travelers and group retreats; featuring small and large Big Bear lake cabins for rent. 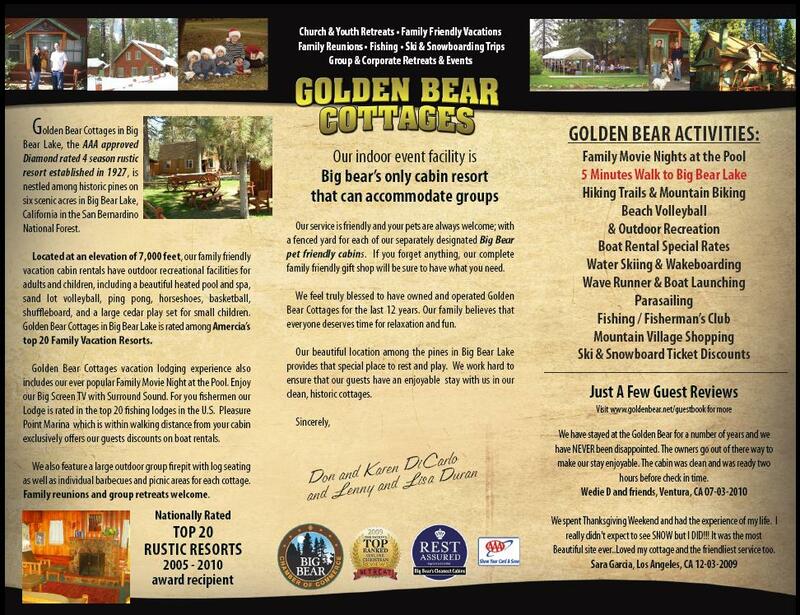 Our top rating for family vacation lodging and groups: Golden Bear Cottages Resort is a founding member in excellent standing with the BBLMA.